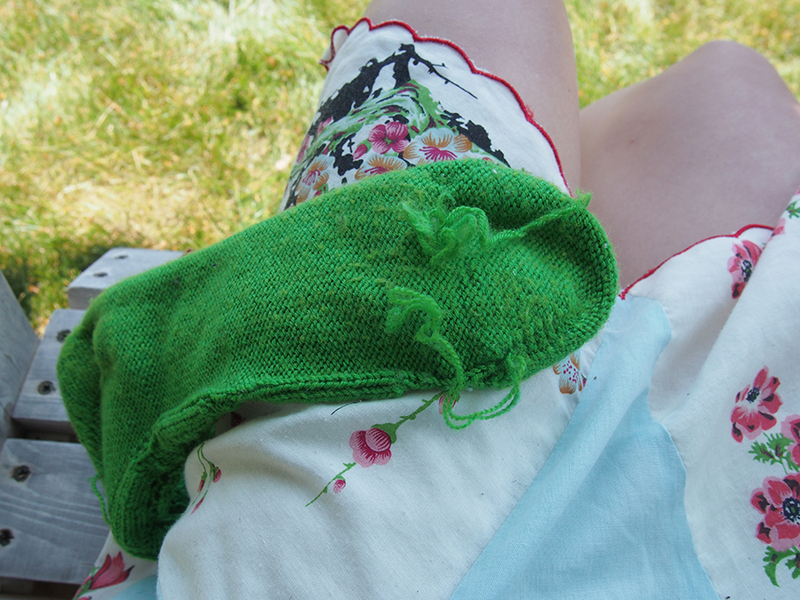 Poll: Tell me truthfully, how long does it take you to 1) start and 2) actually finish the second sock of a pair? 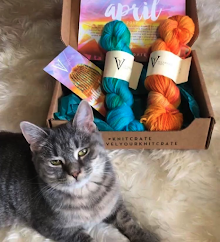 Well, I'm sorry, but if you don't cast-on and finish that second little rascal right after the first one, you will suffer outrageously from Second Sock Syndrome, a.k.a the Bubonic Plague of knitting, a.k.a. Don't-you-dare-make-me-knit-that-thing-again-or-I-will-kill-you Syndrome. 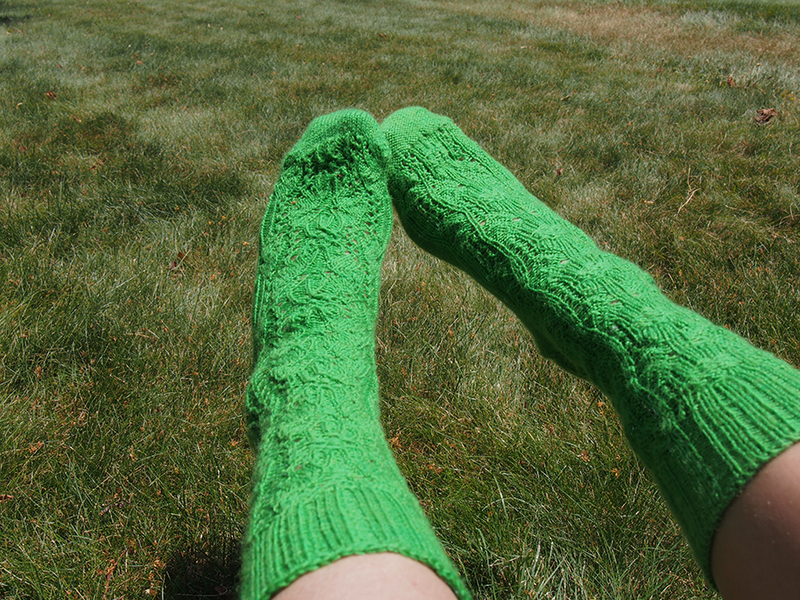 This, my friends, is a pair of socks that took four years to make. Four, long, single-sock years pretending the other one got *oops* lost in the dryer. I mean, if you think an alluring pattern or an eye blinding color could be enough to inspire closure, think again. 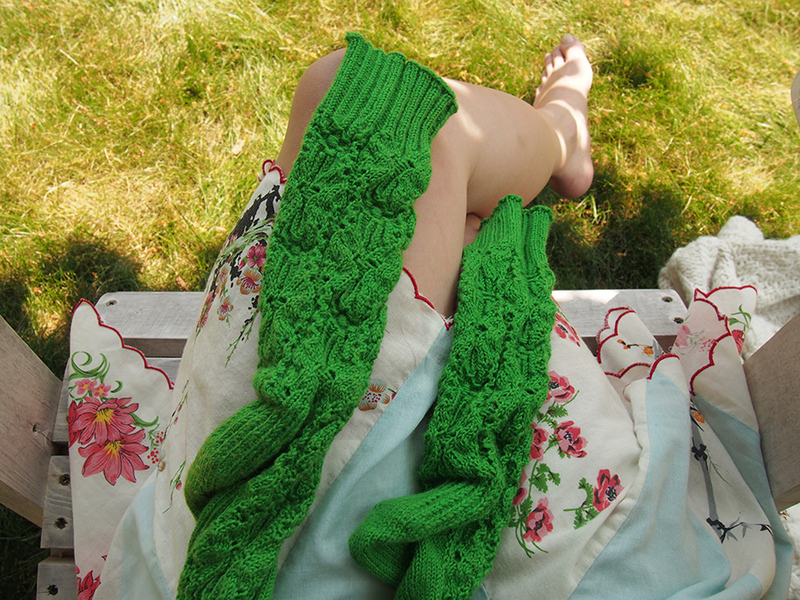 First, these Beautiful Butterfly Socks by Shiny Little Stitches are a delight to make... smocked stitches, lace, even a different orientation for the second sock, this pattern has it all! 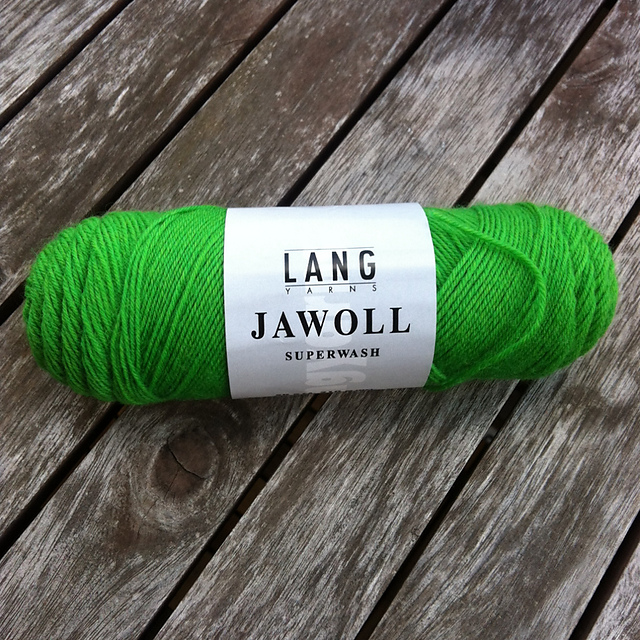 And then check out this shade of Jawoll Superwash sock yarn, which comes complete with a stabilizer thread spool packed inside like a prize in a Cracker Jack box. Even the incentive to fish it out and hold it double for the heel wasn't enough to get me to finish. I have a proposal for a cure for second-sock syndrome, ready? Corollary: No, I don't mean you should have the other foot bare... just wear another completely unrelated first sock without a pair! This is (1) lovely Galileo Sock by Laura J. A Better (and I Think Genius) Solution: Just make two different exciting sock patterns using the same skein of sock yarn. Think about it! It would be twice the fun, you would never have to feel that woeful Second Sock Syndrome guilt AND only the most scrutinizing loony would know the difference when you wore them, I swear! 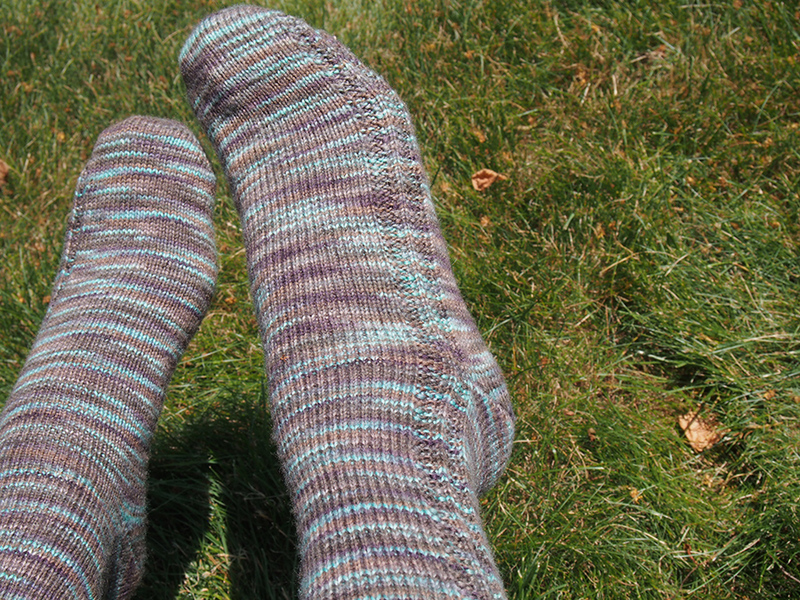 Ok, but clearly I managed to finish the Beautiful Butterfly pair of socks, despite the timespan of a US election (which is always 4 years, but somehow the 2016 election feels like it will be the Rumplestiltskin of elections). Anyway, the question is, what made me finish?! With the simple pattern Ridge by Dieuwke van Mulligan (and him breathing down my neck), I had to finish the pair right away, see? And bizarrely, after finishing the second sock I realized that I had in my hands the exact needles required to finish off those 4-year socks. Hey, the pair is nice, don't get me wrong, but I really am going to try out my new hypothesis, just you wait! I don't have any house updates for you (because my SD card broke) but my screened porch is finished! It's a beauty. What I do have is a JOB UPDATE! On November 2nd I will take a position running the social media channels of the scientific institution I work for in Bar Harbor, Maine: The Jackson Laboratory. This is a departure from my training as a researcher, but a welcome departure. I was already transitioning into leaving academic research to do scientific writing (manuscripts, grants), but when I saw this opportunity I had to give it a go. 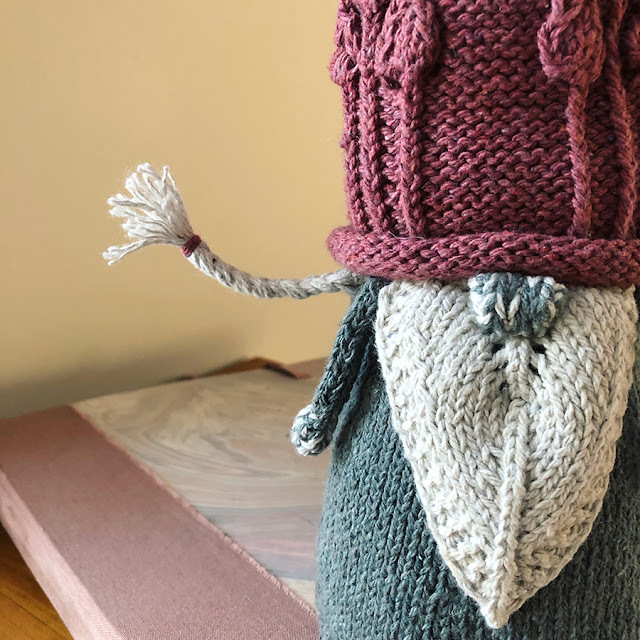 My knitting social media channels have really taken off (especially my Facebook Page) and I feel like I've learned so much about capturing audiences online that I could use my deep scientific expertise to help people get to know our institution better. I am really excited to take this on -- wish me luck! Stay tuned for a WIP tour, I've got a ton of projects on the needles to show you. Congratulations on the new job, and the finished pair. Ah, the second sock ayndrome. I am currently suffering from it after finishing a first sock using two different colors. The foot took so long and the result is so poor I'm not even sure I want to attempt the second. 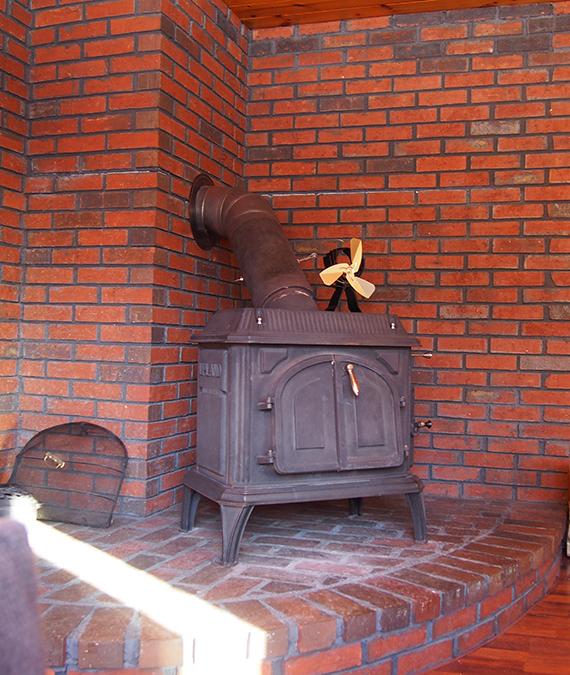 On the other hand, it fits well and will be super warm this winter, so that is incentive enough to finish. But I dread it terribly. Thanks, my dear! Oh yuck, best of luck, here's a nudge. I escape second sock syndrome by knitting both at the same time using magic loop. So far all have been toe-up, but thinking of trying some cuff-down ones soon. Yes, 2 at a time is a good fix -- if you don't have a lot of crazy motifs. 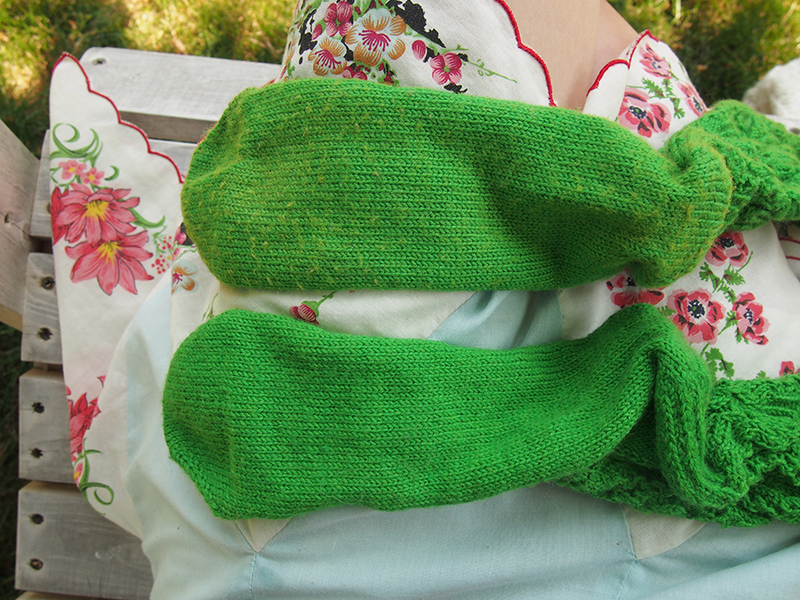 The green socks would have been impossible with 2 at a time, I guess I just have to pick the right pattern. ...and I should of course have congratulated you and wished you well for the new job! Congrats on the new job! Exciting! Still, the second one takes longer to finish. Maybe I should give two-at-a-time a go.. Thank you, it is exciting! I THOUGHT that casting on the second would be enough -- and yet I floundered. Sigh! 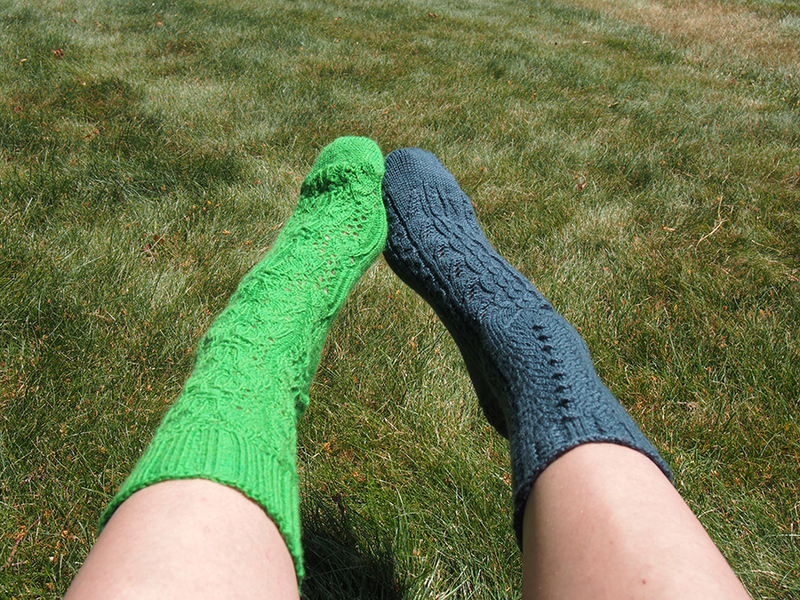 My cure for second sock syndrome is to knit two socks at the same time on one long circular. They may languish for years, but they both get done at the same time! Congratulations on the new job! You certainly know how to captivate an online audience, so it should be a perfect fit! My teenage son, who wears mismatched Crocs all summer long, also wears mismatched socks all winter. I make pairs of socks for his sister, but he usually only gets one of each -- and good thing since his feet are enormous! Congratulations on the new job! Love this, this is the exact sock gift recipient we all need!!! I am jealous. My husband has a thing against mismatched socks, they make him ill at ease. In fact, he's been suffering greatly every time I wore this green and blue pair, and he should be the happiest of everyone that I finally finished the second green one. Weirdly, I've never suffered from Second Sock (or mitten) Syndrome. I've come close to it with sleeves. I think the thing that helps me is that I hate having an unfinished project lying around while I'm working on something else. I generally only have two projects going at a time. I feel super guilty and unsettled until I finish the one I've been procrastinating on. I usually get Finishing Apathy Syndrome, where I'll put something aside for a long time because I don't want to finish it (especially if I've had to rip out ribbing; oh how I hate redoing ribbing). Two sleeves is certainly a challenge and I do tend to do them at the same time (as most people commenting seem to do their socks). 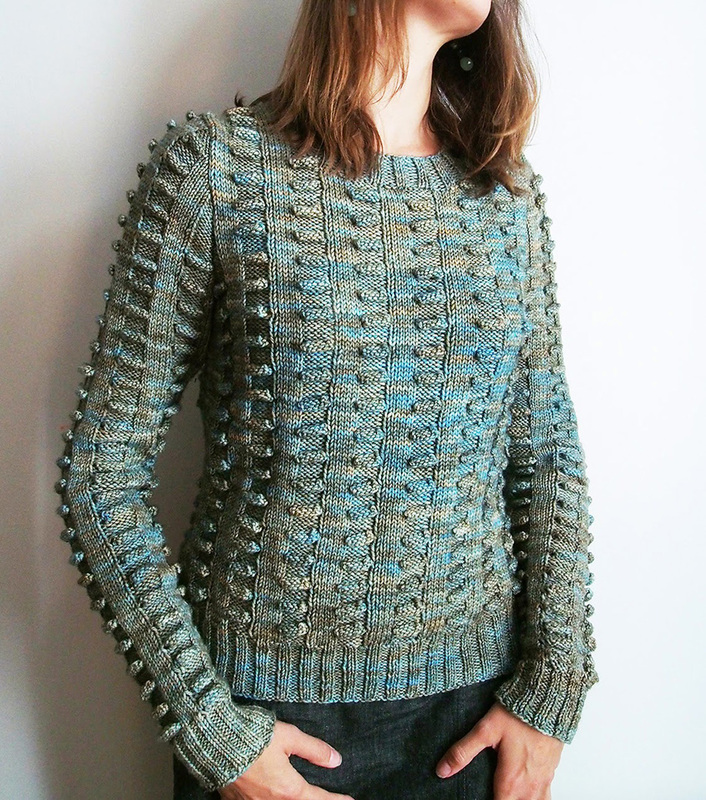 For me, Finishing Apathy doesn't usually strike because I am so eager to wear the piece. Sometimes though, I've done the body and collar and I just know the whole thing isn't going to fit great and there's not a lot I can do about it... that's when those sleeves will take foreeeeeever. 2 projects only!! Oh my, not in my basket, lol! I admire you. Best of everything for you in your new job. You'll be fabulous at your new job - congratulations! Thanks so much, I love this faith in me! 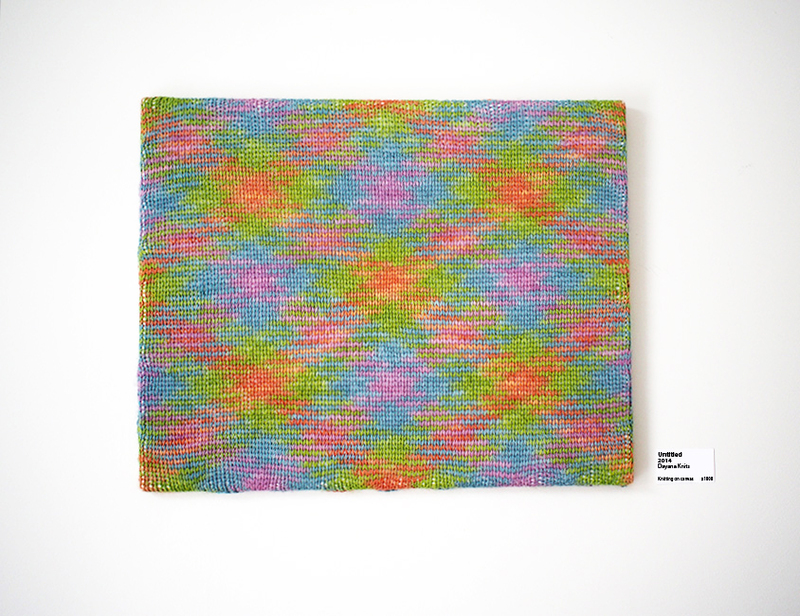 It's going to be tough, science is harder to convey than the visual stimulation we get with knitted pieces. 2 at a time is definitely an option -- thought sometimes it's taking so long that I end up just knitting the one and I am stuck where I began! Six months and counting.... Congrats on your new job.... I love your writing style!!! Four years apart, yet they both turned out the same size! I love that you wore the lonely one on its own. My cure for second sock/mitten syndrome, and the fact that even if I do cast on, my second one ends up bigger, is to do them both at once. Like everyone else in the comments, it seems! I like you solution to second sock syndrome. 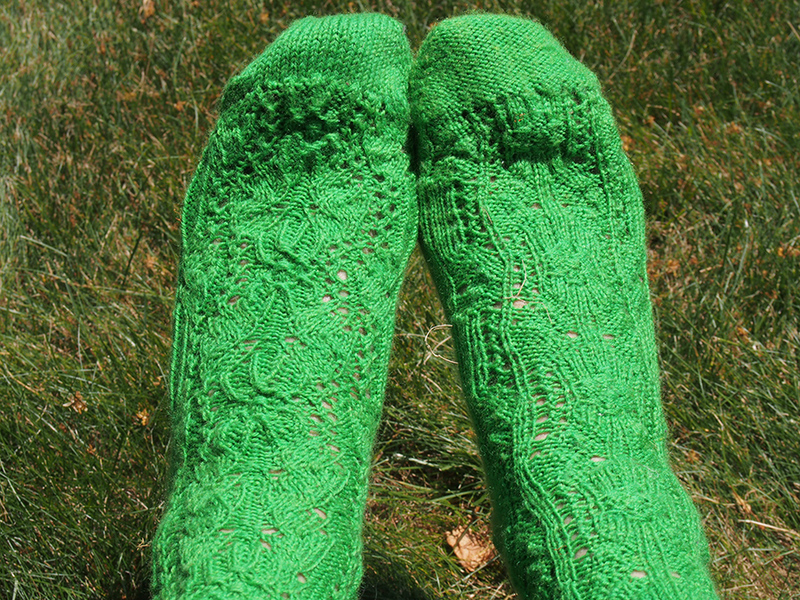 I once took six months to finish a second sock. Generally I get them done sooner than that. Gift deadlines are a real motivator. Absolutely, gifts are motivators. But they also can simply ruin my enjoyment of a project -- such a dilemma. Congratulations all around (on the career front and the sock front). Congratulations on the new job. Carina also left the lab bench and is a science journalist. However, I see her working constantly - freelancing is tough. I know! She is working very hard... working for yourself is tough but rewarding (if you have enough clients, that is).